Closing Civic Spaces In Nigeria | KDSG demolishes Fudiyya Islamic School and Hussainiyya. 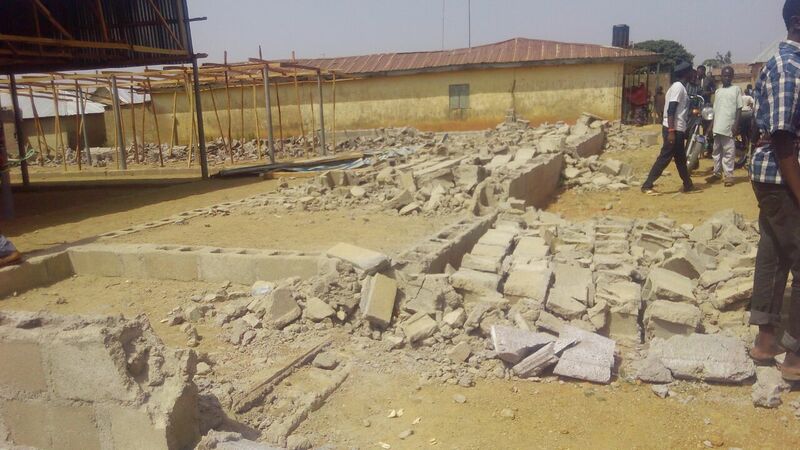 KDSG demolishes Fudiyya Islamic School and Hussainiyya. On Friday 18th November 2016, a combined team of security operatives and Kaduna state government personnel demolished, without notice – the Fudiyya Islamic School at Zaria and the Husainiyya in Saminaka belonging to the Islamic Movement of Nigeria. The Fudiyya Islamic School in Zaria is a registered educational facility of the Islamic Movement in Nigeria with nursery, primary and secondary sections with hundreds of pupils studying there.